The District of West Vancouver is a municipality of Metro Vancouver that lies on the northern shore of English Bay. Since separating from North Vancouver in 1912, this unique community has developed its character and become one of the main ports connecting mainland British Columbia with Vancouver Island. In 2010, West Vancouver hosted the Winter Olympics at its Cypress Provincial Park. Moderately populated, “West Van” — as it’s known to locals — is a distinct combination of urban and rural. Its scenic locale and charming identity make the city a great place to live for outdoor enthusiasts that want to remain close to the heartbeat of a metropolitan area. What’s West Van All About? The Municipality of West Vancouver was incorporated in March of 1912 after separating from the District of North Vancouver. Previously only accessible by ferry, the city completed its Lion’s Gate Bridge in 1938, allowing West Vancouver to grow exponentially and open its doors to downtown commuters. Located on the traditional territory of the Coast Salish and Squamish Nation, the community increased between the 1910s and 1920s. During this period, the city welcomed railways, direct telephone lines, and ferry services along with new lighthouses and schools. Many of the dwellings in West Van date back to the ‘20s and ‘30s as a result of this boom. Of a population of 42,694, 22% of West Vancouver’s residents are over the age of 65 — the highest proportion in all of British Columbia. For this reason, healthcare, retail services, and the financial and insurance industries are essential pillars of the local economy. 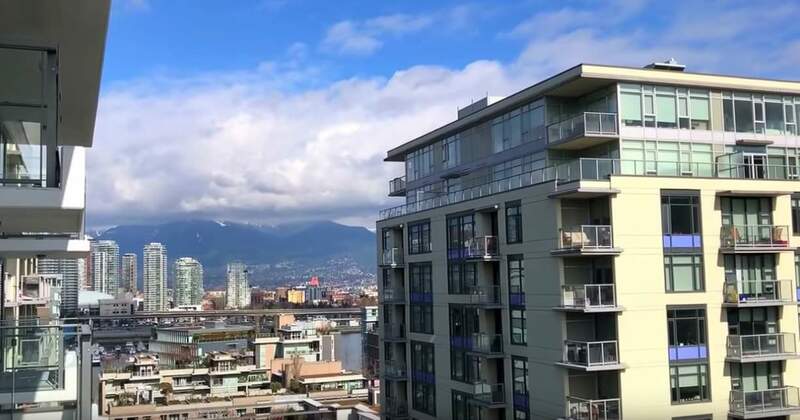 Like all lower mainland environments, West Vancouver is no slouch when it comes to showing off its natural beauty and geography. The district boasts a variety of favorite public parks, each with their recognizable character. Among the city’s most prominent parks in Ambleside Park, the gateway to West Van. Ambleside’s features include a sea walk, a 3.5-hectare dog park, a newly renovated skateboard park, a golf course, and a sandy beach. The locale also enjoys spectacular views of Stanley Park across English Bay. Other well-known parks include Lighthouse Park and Whyte Lake Park, both notable for their old-growth forests. Lighthouse is a natural, historical site and symbol of West Vancouver, and its stands of fir and red cedar are a local favorite for exploring, picnicking, and hiking. Weighing in at 124 hectares, Whyte Lake is the largest park in West Vancouver and showcases many creeks, lakes, wetlands, and a moderate two-hour trail alongside its forest. Whyte Lake Park also connects to Nelson Canyon Park and Cypress Provincial Park; together, the three make for a stunning swath of parkland. Home to more than 13 incredible trail systems, West Vancouver can accommodate all kinds of outdoor recreation, from leisurely strolls to strenuous hikes. Of note, the Baden Powell Trail connects the head of Burrard Inlet in Deep Cove to Horseshoe Bay, and the five-kilometer Lawson Creek Forestry Heritage Walk leads to the remains of the Shields Log Dam and Flume Pond, reminding hikers of West Vancouver’s link to its recent past as a rooted forest community. West Vancouver also features many community centers geared at recreation and physical activity. The Community Centre, Seniors’ Centre, and beloved Ice Arena reflect the current local mentality. The state-of-the-art Aquatic Centre features a water park with an ozonated water treatment feature — allowing the center to use less chlorine than other parks — and offers a variety of leisure, fitness, and rehabilitation services. A captivating community, to say the least, West Vancouver offers a plethora of opportunities to explore and engage in community culture through established cultural institutions, festivals, events, and heritage sites. The local library goes beyond books to include author talks, film nights, language learning courses, concerts, and tech training; it even has its art gallery. For its part, the West Vancouver Museum serves as a local hub for architecture and history enthusiasts, offering dynamic publications and exhibitions in addition to educational programs. Every summer, the Harmony Arts Festival showcases North Shore artists in a 10-day festival featuring local selections from the film, literature, and culinary arts, along with an impressive concert series. Supported by local volunteers, the Festival also offers a unique pop-up marina with Club 25 boating concierge and a world-class kids program. West Vancouver also hosts one of the best Canada Day waterfront celebrations in the lower mainland, and the annual municipally sponsored Community Day is held on the first Saturday of June each year at Ambleside Park. The community is also green-minded and follows some environmentally friendly municipal resolutions, bylaws, and programs, including the Protection of Trees and Watercourse Protection bylaws and the Climate Change Adaption Strategy adopted by the City Council. In 2008, West Vancouver was the first municipality in Canada to support a Green MP all the way to Parliament when Liberal Blair Wilson joined the party after defeating Conservative MP John Weston. Transportation in West Vancouver is provided by the one-fare Blue Bus, Canada’s longest running municipal bus service. The first 100-percent wheelchair friendly bus service in Canada, Blue Bus includes transit from Horseshoe Bay to Lions Bay, to downtown Vancouver via the Lion’s Gate Bridge, and to North Vancouver and Capilano under contract to TransLink. The only major highway in West Vancouver is British Columbia Highway 1, a part of the Trans-Canada Highway. Highway 99 also runs throughout the community, connecting West Van with downtown Vancouver and with Whistler to the east via the Sea-to-Sky corridor. 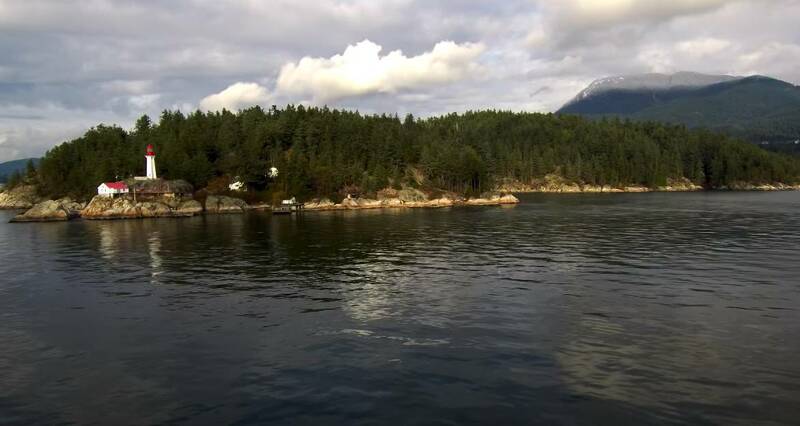 BC Ferries operates routes from Horseshoe Bay to Nanaimo, Bowen Island, and the Sunshine Coast. Electric vehicle charging stations are conveniently located at Municipal Hall, West Vancouver Community Centre, and Gleneagles Community Centre. Each location has two vehicle charging spots. Drivers may access the service for free by borrowing a VERnetwork access card from the reception desk in each building during operating hours or by ordering their ticket for $10.00. West Vancouver is known as Canada’s wealthiest municipality. The economy is indeed strong: over 80% of the population sports a household income of at least $100,000. The average cost of a home in West Vancouver is above $2 million, and 95 percent of its housing market is valued at over $1 million. Aside from active real estate, retail, and hospitality industries, West Vancouver also boasts a famous film industry. Many producers and production companies come to the district to take advantage of the spectacular scenery and historic municipal buildings. Public schools in West Vancouver belong to the School District 45 West Vancouver, a highly-ranked district comprising a total of 17 schools that range from kindergarten through Grade 12. Three middle and high schools are located in West Vancouver, including the West Vancouver Secondary School, Sentinel Secondary School, and Rockridge Secondary School, and the École Pauline Johnson provides a French language immersion program through Grade 7. The district has an annual budget of $39.3 million and accommodates 6,583 students in total. Healthcare in West Vancouver is provided by the Copeman Healthcare Centre and Complement Healthcare, located at the West Vancouver Community Centre. The city’s first multidisciplinary alternative health clinic, Complement offers a full spectrum of healthcare services locally, inclusive of chiropractic and massage therapy, orthotics, psychology and counseling, laser therapy, and osteopathy.